How are we going to deal with North Korea? and More ! « Triggered by a banana peel… no joke! Americans are paying more in taxes than on food and clothing. Hmm… that doesn’t seem right! 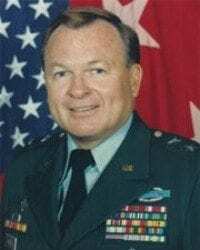 Maj. Gen. Paul E. Vallely (ret) joins Joe to discuss whats really happening in the WH, Middle East and Europe. The General discuss whats going on with ISIS, Taliban and more. The Deep State continues to be a problem for Trump. It may takes YEARS to drain the swamp. Some of the Generals advising Trump don’t understand the Caliphate and radical Islam. Transgender issue is social engineering. It doesn’t belong in the military. The Legislative Branch is broken. We can’t get anything done. The Judicial system is broken. Too many activist judges. FEMA is doing an outstanding job under Trump’s leadership and Gov. Abbott is doing a terrific job. What North Korea is doing is an act of war. At some point we’ll have to respond. And his regime will be done in 60 minutes!